✓ Students work toward developing a personal, functional, “automatic” handwriting style. ✓ Students continue to increase speed by doing the “Alphabet Race” in cursive. 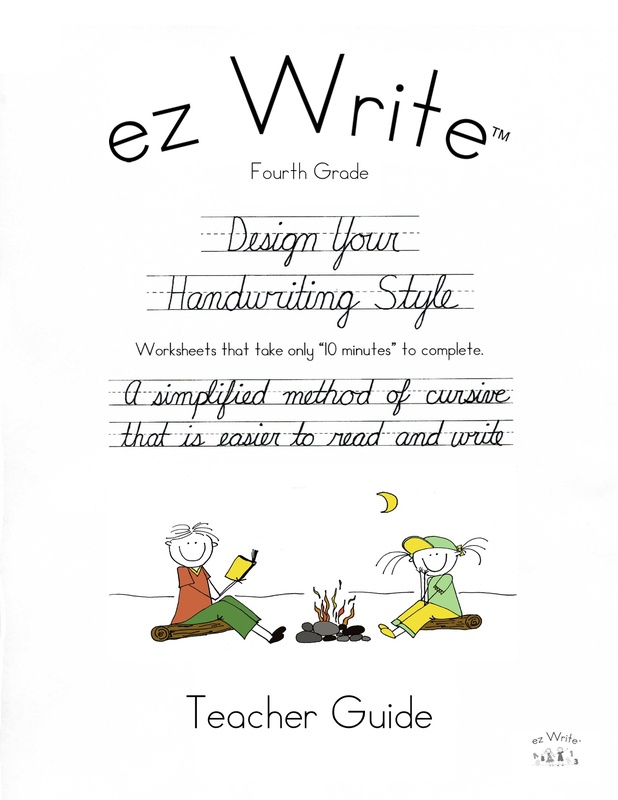 In Fourth Grade, the students will design their own method of cursive writing, using the ez Write Design Your Handwriting Style program. Students will first review the strokes they have learned in Third Grade. Then they will work on each letter of the alphabet. 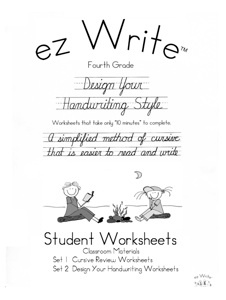 As students progress, they have the option of continuing to use and refine the ez Write Quick 10 Cursive “Print Writing” method that was introduced in Third Grade. However, many may choose to learn the more traditional cursive strokes for these remaining uppercase cursive letters, adding their own style. Students will choose the uppercase letters they will write in cursive. Then practice using that form for consistency, clarity and writing speed. As students continue to practice their chosen form for these uppercase letters, as well as continuing to work on the lowercase cursive alphabet they have learned from the Third Grade program, they will develop a personal, functional and automatic handwriting style. Each kit contains worksheet masters and a CD that allows you to print your own worksheets. You will not need to reorder expensive workbooks that stay at school. 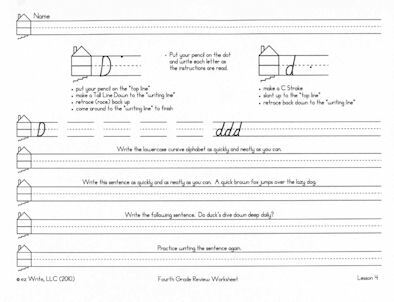 ez Write worksheets go home with instructions to allow parents to help their students. 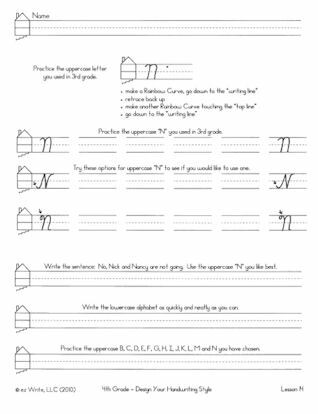 the students begin the Design Your Handwriting Style Worksheets. Students are able to choose from three different uppercase styles. Above are two samples of students Design Your Handwriting Styles. The student on the left chose to stay more with “Print Writing.” The student’s style on the right side contains more of the traditional stylized uppercase letters. Teachers have reported that students really enjoy the freedom to design their own style. 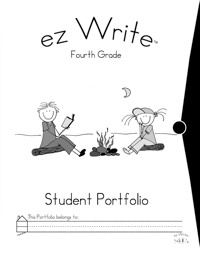 Students were introduced to the ez Write Portfolio in First Grade and will continue to record their monthly Alphabet Races and journal entries through Fifth Grade. The Portfolio is used as a formative assessment to monitor the student’s progress in creative writing and handwriting speed (automaticity). The Teacher Portfolio is found in the Teacher Guide. The Portfolio is an important component to the success of the ez Write Program.